Summery: Oliver Watson is an evil genius well on his way to ruling the world. After all, he’s already the third richest guy in the world, and only 12 years old. True, he’s not popular at school, but when he has to play dumb to hide his success from everyone and doesn’t like his classmates anyway, it works out. Problem is, when one is 12, it doesn’t matter how smart or successful they are, they still want their parents approval. Oliver’s mom loves him no matter what, but his father is a tougher case. When it seems the only way to get praise from his dad is to win the student election, Oliver decides he has to win. Why I Picked It Up: It looked funny as hell. Why I Finished It: It was funny as hell. 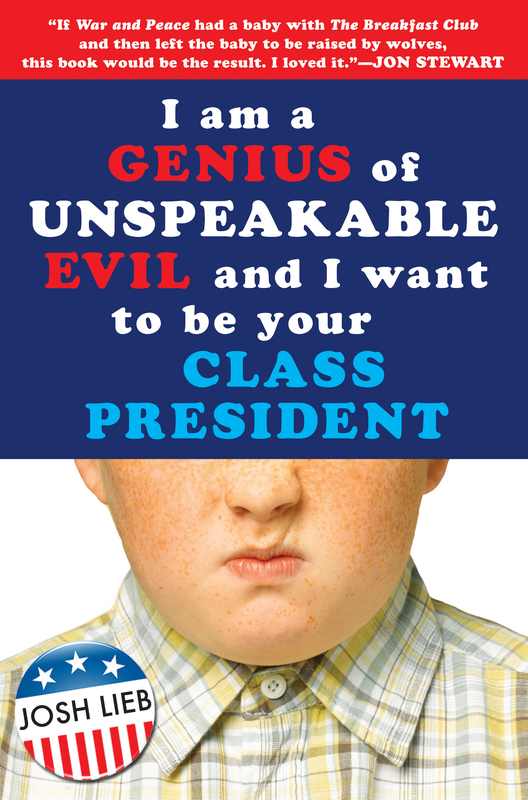 Josh Lieb, the executive producer for The Daily Show, wrote this book, and the same humor seen on the show appears here. Darkly funny, although some emotional depth does appear. Oliver is a character that’s hard to make likable, and yet Lieb makes him sympathic. Other quirky characters appear, giving Oliver’s world depth. For the most part though, it’s funny, helped by Oliver’s cynical view of the world. But: I don’t have any. Really, I don’t. I wish there was more. Alright, the title is long and a pain to type out. There. Who Would I Give This To: My sister. *hint hint* I suppose anyone who isn’t easily offended, has a sense of humor and looking for good teen fiction.